Warning: This post is relatively technical and is written for audiences familiar with lean methodology and innovation accounting. To get caught up, read Eric Reis’ “The Lean Startup,” Ash Maurya’s “Running Lean,” or just DM @andreyostrovsky. Innovation accounting is a process that keeps track of tests of risk and/or value. It is essentially multiple nested layers of the scientific method. The outer layers are big picture tests that help to define the clinician-innovator’s vision. Deeper layers of testing reveal the strategy needed to achieve that vision. And at the core of this onion of value are many small, fast, inexpensive hypothesis tests that refine the ultimate product or service that executes the vision through the aforementioned strategy. Ash Maurya describes the purpose of innovation to be the elimination of uncertainty about the riskiest part of a (social or commercial value-generating) business model. With respect to hospital-based innovation, this approach is useful in answering a basic question: is the problem that a scientist is trying to solve actually a problem worth solving? The first step in applying innovation accounting through Pivotal Tracker is clarifying the clinician-innovator’s vision, such as cure cancer or eliminate health disparities; big picture stuff! Ash Maurya’s lean canvas is a great tool to efficiently (20 minutes!) codify that vision and transform it into a quick and dirty business model. Next, the biggest risks to achieving that vision need to be identified within the subsections of the lean canvas. Here is where Pivotal Tracker comes into play! The component parts of the lean canvas (Problem, Solution, Value Prop, etc) become “Epics” within Pivotal Tracker. Each risk within each subsection of the lean canvas business model will become a separate “Story” within each “Epic” of Pivotal Tracker. Then each risk-“Story” is tested through the scientific method to achieve the end result, which results in validated learning. The really neat intersection of Pivotal Tracker and innovation accounting is how the “Points” systems of Pivotal Tracker can be used to track the progress of innovation. Each risk-“Story” in Pivotal Tracker gets points assigned to it. The number of points assigned to a test depends on the amount of risk that element of the business model bears on the clinician-innovator's strategy to achieving their vision. Pivotal Tracker has a great function where it can calculate how quickly the clinician innovator completes their hypothesis tests about the business model. In other words, the function can determine the velocity of eliminating risk. Not to dork-out and invoke calculus, but the area under that curve is the total quantity of risk eliminated over time. And if the hospital CFO or an external investor is interested in quantifying progress of a startup incubated within a hospital, then what better way other then just gauging how quickly the clinician-innovator is eliminating the risk of their startup failing! Pivotal Tracker mixed with innovation accounting makes a lot more cool innovation chemistry. But I go on service in four hours and should get some rest. I welcome any feedback. And I hugely thank the makers of Pivotal Tracker and Ash Maurya and Eric Reis for inspiring this post. 1. For the full technology review, please DM @andreyostrovsky. 2. 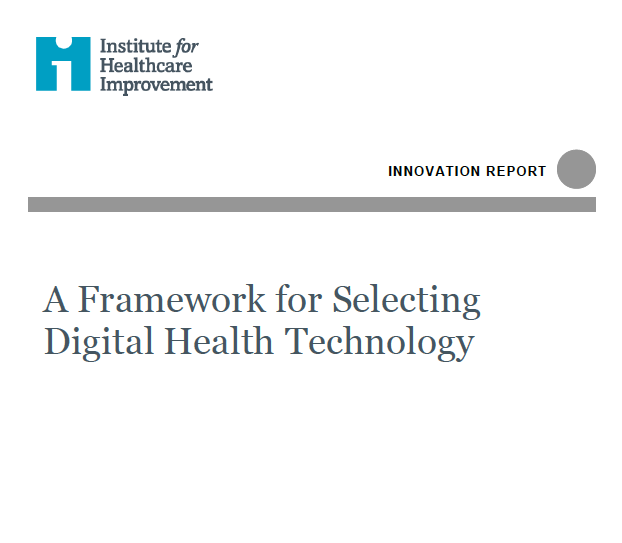 For a review of technology as it applies to community health assessment and strategic planning, please see my 2011 JPHMP article. 5. Ash Maurya. Running Lean: Iterate from Plan A to a Plan that Works. 2012. 6. Brant Cooper & Patrick Vlaskovits. The Entrepreneurs Guide to Customer Development. 2011. Risk is inherent in any activity that involves uncertainty or multiple potential outcomes. More specifically, risk is the potential that an activity will lead to an undesirable outcome. The major role of a startup incubator is to help mitigate the risk for the companies that it is nurturing. Fledgling companies typically face three main types of risk including product risk, customer risk, and market risk. In other words, startups face the challenge of creating the right product that will meet the needs of a specific type of customer, whom there are enough of to make a sustainable business. Hospital-based startup incubators face several additional risks beyond those incurred by the typical healthcare startup. Below is a brief overview of these risks. The goal of identifying these risks is to create a framework for measuring risk and then ultimately mitigating it. On the surface, the culture of academic medical centers is to provide the top level of clinical care and to push the frontiers of scientific discovery. This breeds a culture of ethics, an aversion to conflicts of interest, and a currency of peer-reviewed publications. The outcome is a generally credible, morally driven, and trusted workforce of medical professionals. Under the surface however, academic medicine rewards a “publish or die” culture and an aversion to the words “for-profit” or “private-sector.” What is often overlooked is that commercial value discovery can be a mechanism for social value creation (for more details, please see my recent post). A major risk to hospital-based startups is the potential for slow institutional buy-in to support a profit-driven innovation. Additionally, any academic-innovator that hopes to climb the ranks of promotion will face difficult decisions when faced with the option to work toward more publication of toward starting a company. Not only are there cultural challenges, but there is also a substantial legal risk to starting a hospital-based startup incubator. In my recent post on the subject, I pointed out the tension that arises between hospitals trying to retain as much ownership of any innovation that emerges from within its walls. When hospitals become greedy with their equity holdings they can easily strangle any upside for the clinician innovator, which may dysincentivize the clinician innovator and prevent any value creation altogether. Another legal risk is the uncertainty about how hospitals will work with external vendors that hope to refine their technology by collaborating with hospital employees. The legal issues with working with external vendors include accountability as well as equity allocation in return for the opportunity for product testing. Restrictive equity allocation policies also have implications for Financing Risk. Financing risk is not unique to hospital-based incubators, but it is exacerbated by the profound equity dilution that can occur to a company before it is even formed. For example, if a clinician-innovator seeks investment from outside of the hospital, the investors may be scared off from a seed or even series A investment; investors may be reluctant to write a check when the founder and driver of the company only hold a small fraction of the company’s ownership at such an early stage in the company life cycle. Although there may be interesting opportunities for leveraging the hospital’s cash equity to invest in the company, hospitals may also cause so many bureaucratic headaches that the option of external fundraising may become obsolete. Unlike financing risk, regulatory risk can be very specific to health-related and hospital-based companies. HIPAA compliance and patient privacy protection are of paramount importance these days because of the recently issued final rule on HIPAA enforcement. The final rule added substantial financial penalties to HIPAA violations. Beyond HIPAA compliance, many hospital-based innovations are likely subject to FDA approval. FDA approval may take a very long time and time is the most important and limited resource for a startup that perpetually faces competitive pressures and the aforementioned financing risk. The intention of many regulations is to protect patient safety. But beyond mandates from the government or accreditation agencies, there is a very appropriate culture of obligation to protect that patient’s rights. This entails ensuring that care provided to the patient or research performed on or with the patient is moral, ethical, and does not harm the patient. As a result, the risk that arises is analogous to regulatory risk in nature and I will call it patient protection risk. This risk is most palpable when dealing with an IRB. As I noted in a post in January, IRBs can drastically hamper testing for problem-solution fit by requiring exaggerated review of the testing protocols for appropriate patient protections. Also, although well intentioned, the emphasis of academic medical centers on equitable care delivery and serving vulnerable populations may also pose a challenge to quick testing and value discovery. Finally, a conflict of interest that may arise is when a test with a customer needs to occur during the course of care delivery and the doctor conflicting incentives to provide care as well as to test a potentially profit-generating intervention on the same patient. In a previous post, I described a hospital-based startup incubator as having a clinician-innovator as one of it’s core components. In the post, I described a clinician-innovator with prior experience with entrepreneurship. This situation is likely the exception rather than the rule. The typical clinician that would be available to participate in a hospital-based incubator is a clinician whose entire training consists of research methodology and medical practice with almost no exposure the fundamentals of lean startup methods, customer development, agile development, etc. The lack of internal capacity for entrepreneurial leadership creates a major risk for transforming great ideas into viable businesses. Educating clinicians in entrepreneurship affords very exciting opportunities but the lack of precedent with having external entrepreneurs train clinicians is a risk in itself. Now that the risks to starting a hospital-based startup incubator have been identified, the next step is to measure the risk and then remove it! In the traditional health incubator model, the incubator often gets a small piece of equity for the company’s participation in that incubator. When a hospital becomes the incubator, the question of ownership of the innovation becomes more challenging to answer. This tension boils down to incentivizing innovation. And the problem that arises is that hospitals can deter innovation by claiming complete ownership of innovations. Alternatively, hospitals can spur innovation if the proper incentive is provided in the form of equity, IP ownership, or percentage of revenue. For the sake of this discussion, I will be writing in terms of equity ownership of a company that may be formed as a result of an innovation created through a hospital-based incubator. Like many corporations, hospitals want to minimize risk and optimize reward. As such, they often claim an enormous if not the entire stake of ownership over an innovation. Unlike private corporations, hospitals often do not directly reward innovators internally; it is not common for hospitals to pay out an end of the year bonus based on number of IPOs that an innovator has contributed to. (Although an interesting corollary is the value-based payment pilots that are being implemented as part of the healthcare reform legislation. But these performance-based incentives reward clinical outcomes rather than innovation outcomes). Innovation efforts are often performed on the clinician-innovator’s own time without formal compensation for the copious work that is performed discovering commercial value for a new product or service. Clinician-innovators usually need an incentive to justify the major personal sacrifice and career risk that is taken when pursuing entrepreneurial efforts and value discovery. The key is flexibility. Hospitals hold the majority of the power in this construct because the hospital and it’s resources are at the core of the value proposition for a hospital-based incubator: without the hospital’s patients and providers, the ease of identifying problem-solution fit would not exist. Unfortunately, hospitals, being the conservative organizations that they are, often over value their contribution to the innovation equation and demand too much equity in order to optimize their potential upside gain if an innovation has large commercial success. On the other hand, this approach can stifle the incentive to innovate and no commercial successes may ever be realized because clinician-innovators are not incentivized to pursue those ideas. The entire process of innovation must be made efficient not for the sake of quickly making people get rich but rather for quickly discovering value that will improve patient health and healthcare. Incentives must be aligned so that the innovator is compelled to pursue the innovation and the hospital is incented to facilitate the innovation. A major lever for catalyzing innovation by the hospital is expediting the legalities of innovation (term sheets, patent applications, etc). Navigating these legalities must be both thoughtful to protect patients and expeditious to prevent innovations from stagnating. Below are some recommendations to optimize the legal logistics and to ensure the clinician-innovator and the hospital feel good about their participation in the creation of a commercially valuable innovation. 1) Better to own part of a something valuable than own all of something that is worthless: A standard policy should exist in which the hospital and the clinician-entrepreneur should share the major portion of equity. The policy may be dynamic to allow for variability in the relative contributions to the innovation at various stages of development. But at it’s core, the clinician-innovator should have a major portion of equity protected. 2) Segmentation of hospital participants: Reward all of the participating elements, such as the host department wherein the innovation was incubated. A systematic approach should be considered when accounting for contributions to the innovation and an institutional policy should exist for allocating an appropriate amount of equity commensurate with contribution to all participating entities. These policies should not blindly reward the entire chain of command based on position of power but rather based on relative contribution. For example, if a department within a school within an academic center has made a major contribution to an innovation, that department should reap the major benefit, with only minor (if any) equity allocated to the school of that department. 3) Separation between clinician-innovator and host hospital: A policy should be established to address ownership if the innovator leaves the hospital. Ideally, the policy defers such decisions to the board of directors of the company that would have been formed during the clinician-innovator’s tenure at the home institution. The board should have appreciable hospital and innovator representation. It should also have a neutral party unaffiliated with the innovator or hospital in order to break ties if they were to arise. If you know of successful incentive models for innovation at your host institutions, please share them here so that we can aggregate and disseminate a list of best practices. Thank you!